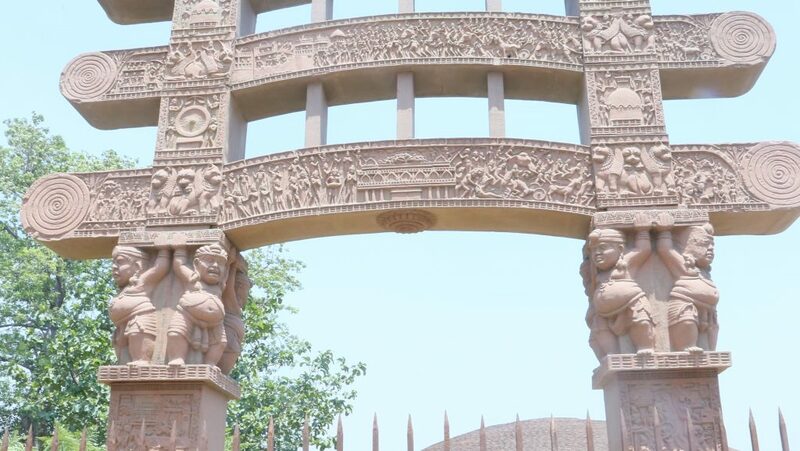 During the reign of the Mauryan king Ashok, the ancient city of Shrughna (modern sugh) became an important center of Buddhism. As mentioned in the travel account of the Chinese pilgrim Yuan Chwang that this place was adorned by tens of stupas and a monastery. The village Chaneti is about 3 kms. North-west of Sugh. This Stupa at Chaneti must have been one of those tens of topes referred by Yuan Chwang. 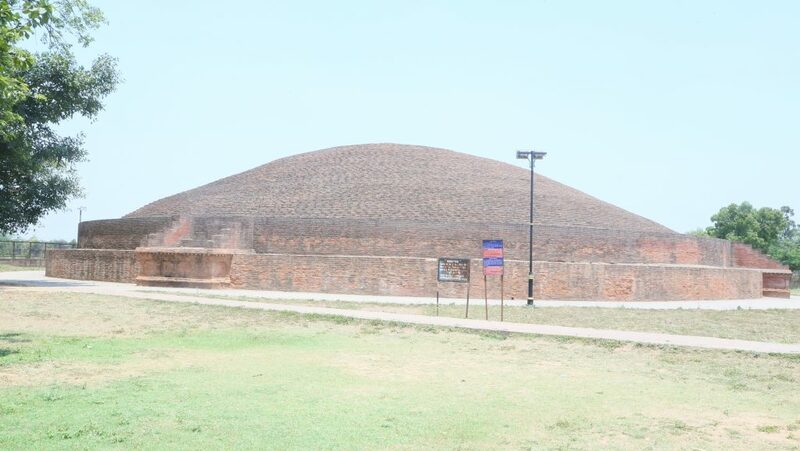 To construct this baked brick stupa, concentric layers were put one over the other, each time leaving some space on the underlying layer, so that the whole structure should give a hemispherical look. Thus, this stupa corresponds to the Shahpur and Dharmarajika stupas at Taxila. No trace of stone railing surrounding this stupa were found. Probably, it might have been wooden railings. At the top of the stupa, square space about 1.5 mt. was found filled with earth. This was the place for harmika which bore the chhatravali (umbrella). 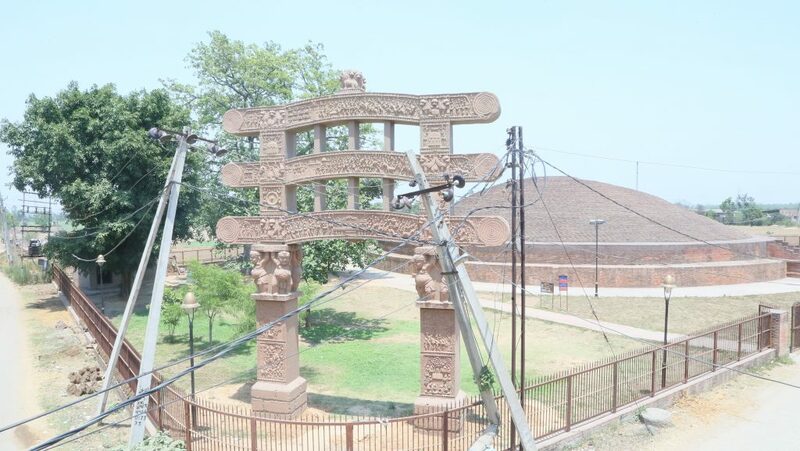 Four shrines in four directions near the old circumambulatory path (Pradakshina Path) were added to the stupa during Kushna Period and new pathway was built below to walk around.